Four Ways Your Crawl Space is Affecting Your Home. Crawl spaces can create significant problems for homeowners. Is your crawl space insulated and air sealed? Here are four problems that can be lurking in your crawl space, and how insulating and air sealing can help. Drainage and plumbing problems can create significant problems in a crawl space. Moisture damage in crawl spaces go unnoticed and lead to a host of other problems! Moisture is the number one enemy of a crawl space. Air sealing and insulating your crawl space as well as ensuring proper drainage around your home can help eliminate moisture and the problems associated with it. Although not included in your home’s square footage, the crawl space impacts your home’s interior and has a direct impact on the air quality inside your home. Building science shows airflow in a home naturally goes up, from ground to sky. As your home naturally breathes, moist air flows up and into the living areas of the home through unsealed penetrations points between the crawl space and the first floor of your home (points such as air ducts, wiring holes, holes around plumbing, etc). 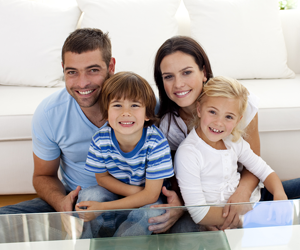 Any air quality issues in a crawl space are guaranteed to impact your home’s living area. Have a family member with allergies, asthma or other breathing concerns? Problems in the crawl space like mold and odors can have a direct impact on everyone, in particular family members with these concerns. Air sealing and insulating your crawl space will improve the air quality will help keep these pollutants out of your home, helping to keep your family healthy. Damp environments create ideal living conditions for pests. Wet or damp wood framing provides an excellent food source for termites and other destructive insects. Air sealing and insulating your crawl space will prevent access points to your crawl space, as well and eliminating these factors that attracted the pests in the first place. Your crawl space is a huge opportunity to save energy (and money)! By air sealing and insulating your crawl space you can reduce drafts, eliminate cold floors, keep your home comfortable, and save money on your energy bill each month. Upgrading your crawl space is an investment in your home, your family’s health and can save money on your energy bills. What are you waiting for? Contact us to schedule your free estimate!